Donald J. Trump’s election as president of the United States has been a godsend to so many Americans. Those who support him think he’s the best thing to happen since pockets on shirts. Those who oppose him think, well, quite a bit differently. I’ll leave it at that. I believe we all can agree that his election has opened doors to many new types of political pundits. My favorite new breed is the late-night comic. Most of them are teeing off on the president nightly. They are giving him the what-for on any manner of issue. And, oh brother, he keeps proving so much grist. That brought, in my view, a classic response from one of those comics. Jimmy Kimmel answered the other day that Trump’s election as president gives him all the credibility he needs to comment on his performance in office. 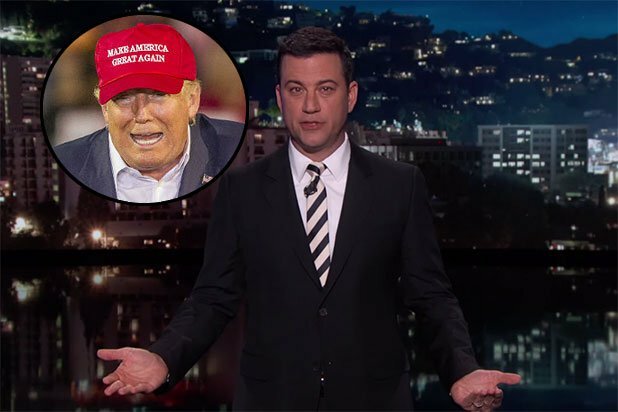 “I mean, we elected Donald Trump as president of the United States,” Kimmel answered recently with a healthy dose of faux astonishment. I guess I should mention that Trump is as qualified to be president than the comics are to comment on him. Trump’s election has delivered an unintended benefit. He has delivered huge stashes of political humor ammunition to those who work in his former calling — in the entertainment industry. As the late President Reagan used to joke about his own marriage to Nancy, Kushner enjoys the perks of marrying well. Why, his wife Ivanka’s father used to be a mere billionaire business tycoon. Now he’s the president of the United States. What did the president do when he took office? He brought his daughter and son-in-law into his inner circle, gave his daughter some policy advisory role and entrusted Kushner with coordinating our nation’s effort to find a lasting peace agreement in the Middle East. A problem emerged. Kushner didn’t have the proper security clearance to handle the material he saw regularly. Hey, he had as much diplomatic and political experience as his father-in-law; that would be none. White House chief of staff John Kelly this week reduced Kushner’s access to this material. He now is denied access to the hush-hush stuff he’d been seeing. That’s a good thing. It’s not enough. Kushner needs to be shown the door. He doesn’t belong in the White House, let alone handling the work he’s been given. However, as one former Trump campaign and transition insider put it, he is “Mr. 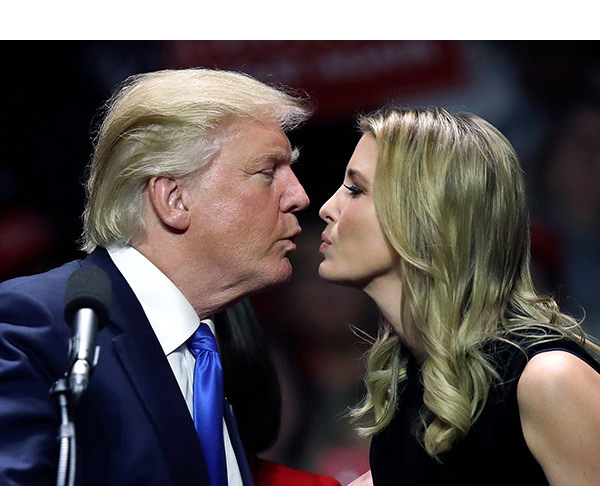 Ivanka Trump.” Which means he’s got the job for as long he remains married to the president’s daughter. Ivanka Trump is walking the finest of lines. She is the elder daughter of the president of the United States. She also is an unpaid senior adviser to the Leader of the Free World. So, when she gets asked by a broadcast journalist about the allegations of sexual abuse leveled against her father/the president, she reveals why it’s important that the president be mindful of the problems nepotism poses in hiring senior advisers. Ivanka cannot serve in her “official” capacity without facing difficult questions surrounding her “boss,” who also happens to be her father. She called the question posed by NBC News’s Peter Alexander “inappropriate.” Wait a minute, young lady. He was asking the question of a senior policy adviser, not of a presidential daughter. This is why nepotism is a bad thing when it involves people at the highest levels of government. Many decades ago, the federal government implemented an anti-nepotism policy in response to questions surrounding the appointment in 1960 of Attorney General Robert F. Kennedy by his brother, President John F. Kennedy. After JFK’s murder in November 1963 and after RFK was elected to the U.S. Senate the following year, the government enacted a policy that prohibited hiring by presidents of “linear” relatives to paid positions. It didn’t cover the role that Ivanka Trump fulfills in her father’s administration. There needs to be some tightening of these rules. If it’s not going to happen, then the president needs to send his daughter packing. 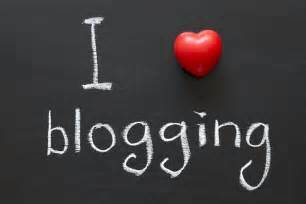 You know how much I love blogging full time. The picture above declares it. You might not know for certain how much I love doing so when I smash, obliterate, pulverize previous records for page views and unique visitors. It has happened in this month, which is about to conclude after just 28 days. My daily record was smashed by a factor of more than four; my monthly total was wiped out by a roughly 50-percent cushion; I’m on track to smash another annual record for page views/unique visitors. What in the world drove this month’s huge traffic? I posted an item the other day that called attention to Empower Texans, a far-right political action group that has been trashing West Texas lawmakers with bogus charges and outright lies. That one got someone’s attention. It has been distributed far and wide. The page view and visitor counts showed up on my Word Press analytic table — and simply blew me away as I watched the numbers explode. This blog gives me great pleasure even during slow periods. When the traffic ratchets up to the level it has done in the past couple of days, well, that sends me into orbit. For that I thank those who read this blog. I thank those who share these musings with their own friends and social media acquaintances. I also want to thank those who comment on the blog posts — even when they disagree with my words of, um, wisdom. It is generally accepted that “texting while driving” is dangerous and is an inherently stupid activity. The reasons are obvious and no explanation is needed from me. I’ve loathed the sight of drivers conversing on their cell phones, let alone operating texting devices while driving a 4,000-pound missile in heavy traffic. There. We’ve re-established that, yes? How about texting while walking? You’ve seen it, too, I’m sure. People walking through shopping malls while distracted. Their eyes are fixed on that device in their hand. They are sending messages via those devices. They run into other mall shoppers. They slam into doors. They knock displays over at kiosks. Oh, they just giggle and pick up after themselves. It’s all good. Some communities now are levying fines for those who are caught “texting while walking” across the street. The fines aren’t steep, but they are punishing those who commit these idiotic acts. I know that “texting while walking” isn’t as egregious as when the activity involves driving a motor vehicle. The only person endangered is the person who refuses to look where he or she is going. I am not going to hold my breath waiting for Texas communities to follow the lead of other American cities and towns. It took several sessions of the Texas Legislature to enact a statewide ban on texting while driving; the 2017 Legislature finally acted and Gov. Greg Abbott signed it into law. Good for lawmakers and good for the governor. However, if tragedy should strike and someone is seriously hurt — or worse — because he or she is texting while walking through traffic … then we’re talking about a potential game-changer. I spoke rather skeptically in an earlier blog post about whether Amarillo’s public school board would take this step, but — as is often the case — they proved me wrong. The Amarillo Independent School District Board of Trustees voted 7-0 Monday to begin researching ways to dramatically change its voting plan. It wants to look at how it can move from an at-large plan to one that elects trustees from single-member districts. It’s a realization of the changing demographics within the district and whether the school board reflects the needs and wishes of all 33,000 students and their parents. This decision doesn’t guarantee a change in the voting plan. It does move the district a big step forward toward that end. Trustees, acting on a recommendation from the lone African-American on the board, James Allen, have directed the AISD legal team to begin researching ways to achieve the transition. AISD comprises many disparate neighborhoods comprising residents of equally disparate socio-economic backgrounds. There are plenty of high-end neighborhoods, along with neighborhoods at the other end of the scale. And, yes, we also have this issue of racial and ethnic diversity. Amarillo’s student body census is comprising an increasing number of Latin-American, African and Asian backgrounds. Their needs are quite different from their Anglo classmates. AISD doesn’t elect trustees from a purely at-large system. It instituted a cumulative voting plan some years ago to settle a lawsuit brought by Latin-American residents. AISD’s legal counsel has many issues to consider. I’m glad the board has given the OK to begin that journey. So, let the studies commence. May they bear fruit. Several hundred thousand U.S. residents have just been given a reprieve from a most unlikely source: the Supreme Court of the United States. The court today declined to consider a Trump administration request to expedite a decision on whether a plan to revoke a Deferred Action on Childhood Arrivals directive issued by Donald Trump. This means the so-called “Dreamers,” those who affected by DACA, have more time to remain in the United States even though they were brought here illegally by their parents when they were children. 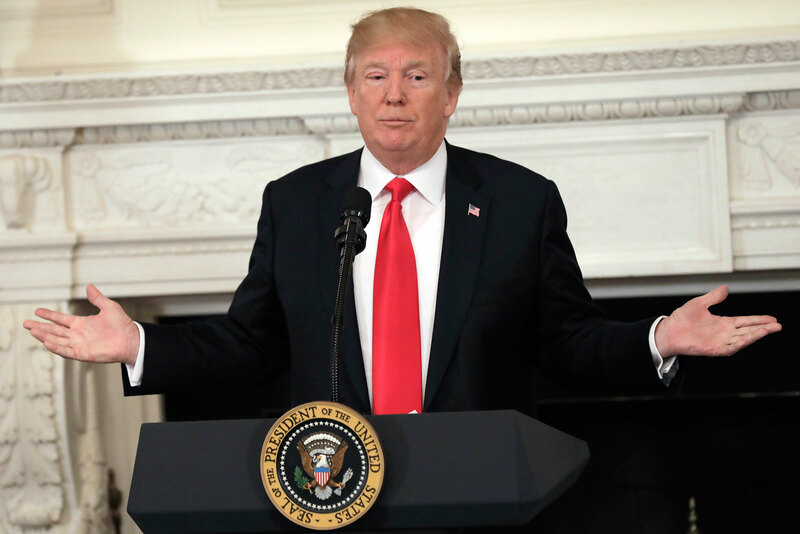 According to Politico: The Justice Department had asked the justices to skip the usual appeals court process and review a district court judge’s ruling requiring the administration to resume renewals of the Deferred Action for Childhood Arrivals program. The Supreme Court declined the request Monday with no justices dissenting. The high court could still weigh in later, but the move suggests the justices want to allow one or more appeals courts to take up the question before considering it. A federal judge has blocked the administration’s plan to cancel President Barack Obama’s DACA order. The issue is now before the 9th U.S. Circuit Court of Appeals. The Justice Department wanted the court to allow a sped-up process to resolve it in time for the March 5 deadline that the president had set for Congress to come up with a legislative solution for DACA recipients. I would have thought the Supreme Court would side with the administration, given its ideological bent. Silly me. The court has given DACA recipients more time to stay in the United States, the only country many of them have ever known. Now, to Congress, I want to offer this word: Get to work to find a solution. These U.S. residents must not be deported and returned to nations they do not know. Terry Childers’s name pretty much is mud around Amarillo, Texas. The one-time interim city manager came aboard after Jarrett Atkinson quit — and then “distinguished” himself by getting into a major-league snit with the city’s emergency response program in a case that became known as “Briefcasegate.” Childers misplaced his briefcase at a local hotel and then berated a dispatcher for not acting — in Childers’s mind — quickly enough to resolve his issue. Childers lasted a year on the job, then quit — after calling a constituent a “dumb son of a b****” — and high-tailed it back to Oklahoma City. But he did make a significant hiring decision while he was here. He hired Ed Drain as the city’s chief of police; Drain was hired initially as a temporary chief, then got the permanent job. 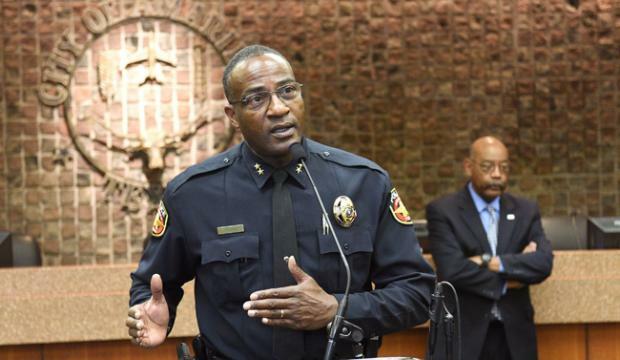 I want to salute Childers’s decision to bring Chief Drain to Amarillo, hiring him the Plano Police Department, where he served as deputy chief. Why the salute? Because the chief is reinvigorating an important police program that was allowed to go fallow during his immediate predecessor’s time as the city’s top cop. Chief Robert Taylor didn’t think much of “community policing.” He let it go. Community policing is aimed at exposing officers to residents on an interpersonal level. Officers work with community organizations, seeking to build relationships that build trust. And better trust creates an environment for residents to be more vigilant and to report to police when they suspect someone is doing something illegal in their neighborhood. Former Police Chief Jerry Neal moved the community policing concept forward. His successor, Taylor, had a different view; Taylor didn’t do a bad job as chief, but I wish he had maintained a program that Neal had started. This is my way of wishing the current chief, Ed Drain, well as he reinvigorates a progressive policing environment in Amarillo. Donald J. Trump’s profoundly stupid boast today underscores perfectly a point I sought to make in an earlier blog post. The president assumed the role of “armchair hero” in declaring — during a White House gathering with the nation’s governors — what he would have done had he been present at Marjory Stoneman Douglas High School in Parkland, Fla., on Valentine’s Day. He said he would have stormed into the building when the gunman opened fire, killing 17 students and educators. Really, Mr. President? This is the kind of idiotic nonsense that drives many of us nuts. 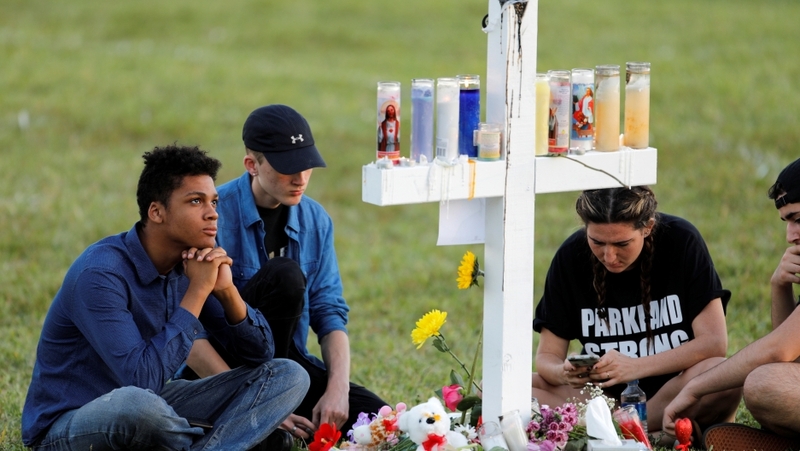 He was speaking about former Broward County Sheriff’s Deputy Scot Peterson, who reportedly stood by — frozen — while the gunfire erupted inside the high school. He called the deputy’s conduct unacceptable. On that score, the president is correct. However, to insert himself into a tragedy and assert how he would have acted — days after the fact — speaks to a curious form of projection from someone who one would think should know better. There can be plenty to say about the deputy’s lack of action when it was need in the moment. We haven’t yet heard from him. I am one who hopes he is able and willing to explain why he didn’t do what he was trained to do. I don’t expect him to offer a plausible explanation, but the nation has a need to hear his version of events. Americans do not need to hear senseless boasting from a president who was nowhere near the tragedy when it struck — and broke everyone’s heart. Trump would have ‘run in there,’ unarmed? I know this is a rhetorical question, but I am going to ask it anyway. Why doesn’t Donald J. Trump keep his trap shut when he certainly must know the response he is going to evoke? I know the answer. He cannot. A man with utterly zero sense of self-awareness doesn’t know how to be circumspect. Really, Mr. President? You would have done that had you been there? Does the chicken hawk in chief really expect us to believe the would do something he didn’t have the inclination to do back when there was a full-scale war raging in Southeast Asia? A much younger Donald Trump came up with student deferments and a medical deferment — bone spurs, yes? — to avoid service in the Vietnam War. A couple of million others of us didn’t exercise those options. We went to war while individuals such as Donald Trump sat on the sidelines. This is the kind of thing that the president should be mindful of when he launches into this bit of faux bravery. Except that Trump has no awareness of how his tough-guy talk plays to those of us who followed a much different path than the one he took when he had the chance to run toward the gunfire.